If you’ve already been in Buenos Aires a few days and feel like you’ve seen the majority of the touristic sites, you might be getting close to leaving the city and continuing your travels. Before you do so, take a breather and spend a day exploring some of the cities parks and plazas. 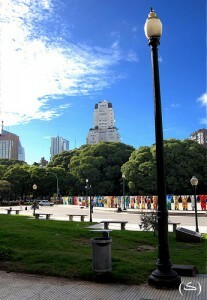 Though Buenos Aires like any large city has pollution and traffic, they have their parks and plazas down pretty well. Everyone knows that Palermo has the largest area of parks, but it’s not one park that makes this area well know. Instead, it’s a series of parks near each other, each offering something different and unique. 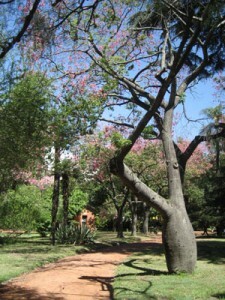 This is maybe the best known park in the city, located across from the U.S. Embassy and the Zoo. This park has the rose gardens, pond with paddle boats, and even a museum inside. Every day you’ll find the perimeter swarming with roller bladers, bikers, and runners. Yoga classes take place on the grass next to groups of friends and families drinking mate and having picnics. Street food like choripan and hamburgers are available at a pretty reasonable price, and you’re smack dab in the middle of the park network. Though this park is beautiful, you might get tired of the crowds, so consider walking around to the Planetarium or Parque Jorge Newberry. It’s a bit farther away to the east, but quieter and less trafficked. The trade off is while you get a little more privacy, the people watching takes a dip as a result. 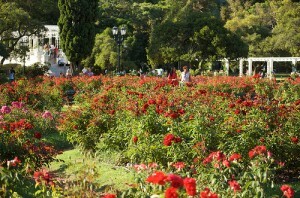 Across from Plaza Italia and the Zoo are the Botanical Gardens, which you can stroll through for free at your leisure. 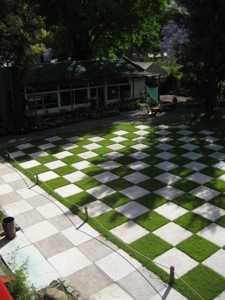 Though it is flanked by Avenida General Las Heras and Avenida Santa Fe, it is surprisingly quiet and peaceful inside. The red clay paths lead to different species of plant life and areas where you can sit to meditate or read a book. This may be one of the more underrated parks in this part of town, but that just means it’s more peaceful. Just remember to bring bug spray. Small by comparison, the Japanese Gardens are a pretty place to spend an hour or so. At this time, it costs $5 pesos to enter during the week and $8 on the weekends and holidays. The gardens consist of a series of coy ponds, bridges, and pagodas. There is a sushi restaurant inside and a greenhouse where you can buy different plants, including bonsai plants. The catch is that if you go on a weekend you can expect a lot of people. This is the kind of place that is best served with peace and quiet, so if you can manage it, go during the week. A bit farther away from the parks of Palermo in Recoleta you find Parque Las Heras. This is another park that is peaceful and quiet, but has a lot of space to roam around. Buses pass by this area and it’s close to museums, shopping, and the Recoleta Cemetery. You might not want to spend all day here, but it’s good for an hour at the very least. 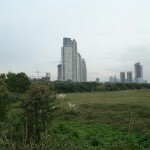 Down next to Puerto Madero is the Ecological Reserve, or Costanera Sur. It’s really just a swamp that was gutted and has a track around it, but once you’ve been in the city for a while it’s pretty refreshing. Right next to the Río de la Plata, you can occasionally watch boats go by and get a nice breeze on hot days. There is a row of cheap street food by the entrance of the reserve that is worth checking out. Located on the border of San Telmo and La Boca, this park is maybe more “authentic” in that not too many tourists wander here, yet doesn’t lose any points from a visitors point of view. 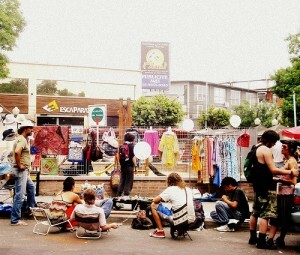 There is a fair here on weekends and a museum is located within the park as well. 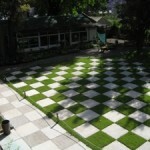 The park has a lower level and a raised level where you can find a human sized chess board/amphiteater. It’s only a few blocks from the San Telmo fair and Puerto Madero, making it a good stopping point between the two on a Sunday stroll through the south side. It might say Plaza Cortázar on the map, but everyone knows it as Plaza Serrano. This hot spot in Palermo Soho has (expensive) bars and restaurants, and is close to shopping. On the weekends a crafts fair is set up in the middle, which is good if you’ve not feeling up to San Telmo. Plaza San Martín is located at the northern end of Calle Florida, close to Retiro. This is a nice place to sit and regroup after walking through the mess of Calle Florida, or just to soak up some sun. For a plaza, it’s large enough to border on the side of a park, but to each his own. At the bottom of the plaza you find the memorial to the Islas Malvinas (Falkland Islands) War, with the eternal flame and soldiers standing guard. This park is a little haven in the hustle and bustle of the Microcentro. Plaza Lavalle is deep in the Microcentro as well, down near Tribunales and Teatro Colón. While it’s not the prettiest place to be, there is some green space to relax and rest your feet if you’ve been walking around the center and have had enough. It’s only two blocks from Avenida Corrientes an Avenida 9 de Julio. Just keep an eye on your things as well once the sun starts going down, as the area can get a bit dodgy. Of course, these are only a handful of the many parks and plazas that this city has to offer, and the longer you spend here the more you’ll find. Some of the best are the ones that have yet to be mentioned. This page rendered in 0.277 seconds.